There’s nothing that sets a positive status for your websites like a good user comment or review. Whether you’re selling products or services or blogging or working on Freelancing, it’s important to highlight your previous customer’s experiences with your website, especially if it’s a positive experience. Essentially, this is the job fulfilled by a WordPress Testimonial slider plugin. A Testimonial slider is simply an interactive slider that compiles all your user quotes and reviews in a single place in an enjoyable fashion. This slider is often accompanied with ratings, additional comments and contact details of the reviewer. This essentially provides you with a minimalistic way of showing that your product has worked well with different users and what various customers think about your products. It’s important to understand that user reviews can almost be essential these days for any kind of product. Furthermore, since the market has become so competitive for any commodity or service on the planet, people won’t generally trust any organization or business without finding out what other customers think about them. A Testimonial showcase plugin eases up the task for your users to find reviews about your products and essentially works as a marketing tool for you. 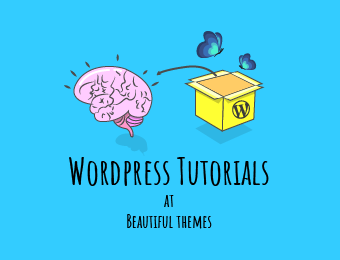 Moreover, there are so many great plugins available on WordPress that it would be just a shame to not try them out. Thus, we’ve compiled you this list of the best WordPress Testimonial Slider plugins available for free. Feel free to check them all out and choose the one that fits you perfectly. Moreover, if you have any recommendations or addition to our list, feel free to list them out on our comments section! Have you ever come across any situation where you need to redirect your page. If you haven’t, you will need to redirect the web pages sooner or later. It can be broken links, spam registrations, or any type of page errors. You might also want to temporarily pause a few sections or services for some time or just change the domain name of your website due to various reasons. In all these cases, you will have to redirect your web pages to random posts or a definite page. However, if you use a WordPress website, it’s really easy. All you need to do is install a WordPress redirect plugin and you can easily use it to redirect the plugins. The address of the website is changed to a new one that you’ve created or already existed when you redirect a URL of your website. So, when the user clicks on a particular link address that you want to redirect, the redirected URL address is presented to them instead of the original one. The redirects also help your website with the SEO in situations like broken links and spam registrations. However, it can take about a month for the redirects to be approved by the search engines. It solely depends on the algorithms used by the search engines. With the flexibility and ease of access, it’s not surprising to see WordPress being used in advertising and directory listing platforms. Managing Address books, Indexing websites and Classified Ads is a tough task that can be quite a time-consuming. However, WordPress’ easy management system allows you to manage entire directories with barely any problematic. This task is simplified even more if you decide to use a WordPress Business Directory Plugin. It’s no revelation to say that WordPress lets you install and use user-friendly business directory plugins easily. In the same vein, these WordPress Business Directory listing plugins are designed to be easy to use. Streamlining the process of managing the directories is an essential function of these plugins.